Population Explosion is the major concern of all the nations of the world, especially the underdeveloped and developing nations. The eleventh of July 1992 was observed as the world population day to focus the attention on the problems due to population explosion. When the 20th century began, the world population was put at 1.6 billion. It is estimated that in the next century it would stabilize between 8 and 14 billion. 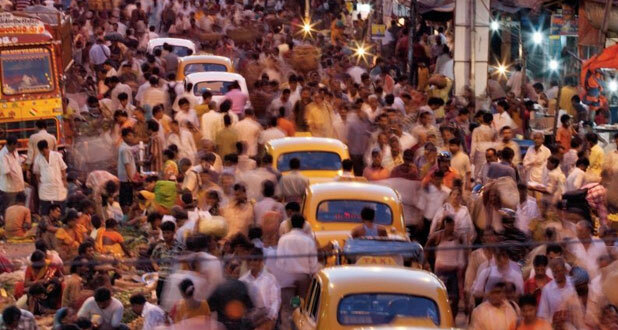 India’s population was around 100 million at the beginning of Christian era. In 1901 it was 255 million, in 1951, 361 million and in 1961, 844 million. In India a baby is born every 1.4 seconds, adding about 16 to 17 million to the population every year, i.e., every decade India is adding a population that is double that of U.K or more than half of the USA or C.I.S (former U.S.S.R). It is feared it would double in 20 years. What are the causes for this explosion? Population growth is due to certain factors like high birth rate, low death rate, migration, lower marriageable age, widow remarriage, modern advancement in medicine and health care. Added to these are high fertility rate, low standard of living, lack of birth control practices and illiteracy. The increase in population puts presser on land, water and forest resources. It leads to overall shortage in land, jobs, capital, housing, industries, education, clothing and health services. The net result of population explosion is the decrease in per capita income and standard of living of the people. At least in this Millennium we should resolve to check population explosion.